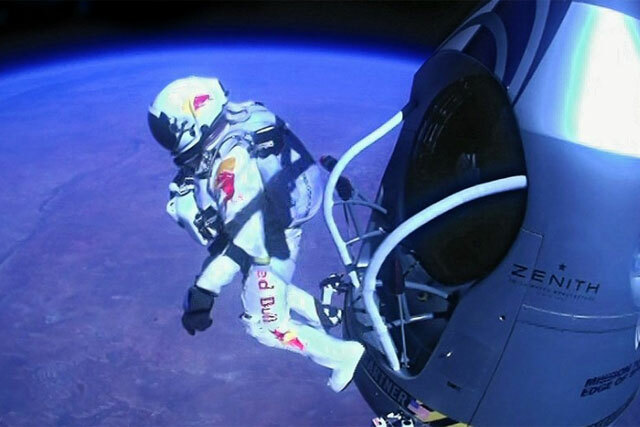 Felix Baumgartner today (25 April) reflected on his momentous Red Bull jump from the edge of space, claiming he could never "top" it and that he is leaving it to the next generation to eclipse it. Baumgartner was giving one of keynote speeches at the Adobe Digital Marketing Summit, alongside John Mellor, VP of strategy for digital marketing at Adobe, and key executives from the BBC and SAP. Responding to a question that critics see him as an adrenalin junkie and risk-taker, Baumgartner said: "I have done high-profile base jumps before. "The preperation is more important than the jump itself. My priority is that I want to stay alive. I wanted to come home to my family at the end of day. I said 'look at my preperation' and you know that I am smart as I am still alive after 25 years of doing extreme sports." Baumgartner also revealed that he has always wanted to make money out of his passion for extreme sports, stating: "If you want to make money out of sport, you got to think like a professional. Try to act professional and think professional." The jump was broadcast on more than 40 networks across 50 countries, while more than 3m tweets were sent about the jump, prompting Baumgartner to say "we definitely owned the internet on that day". Baumgartner said he has no plans to repeat the stunt: "The next step would be to go twice as fast of speed of sound and I am going to leave this to the next genertion." He also joked that a brand "should make a ringtone" of the supersonic boom, the sound made when the speed of sound is broken.